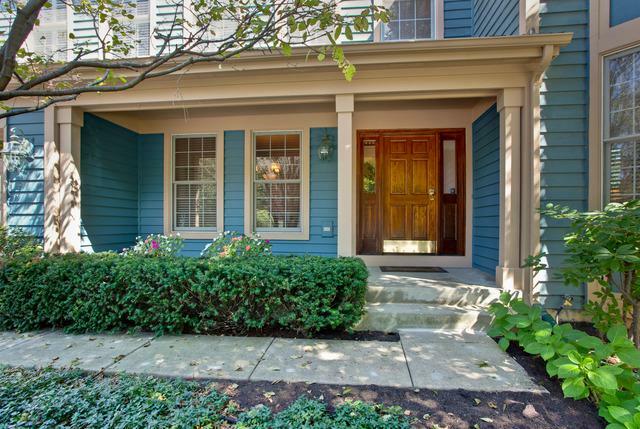 Perfectly appointed home on wooded cul-de-sac street offers wonderful curb appeal w/charming covered front porch. 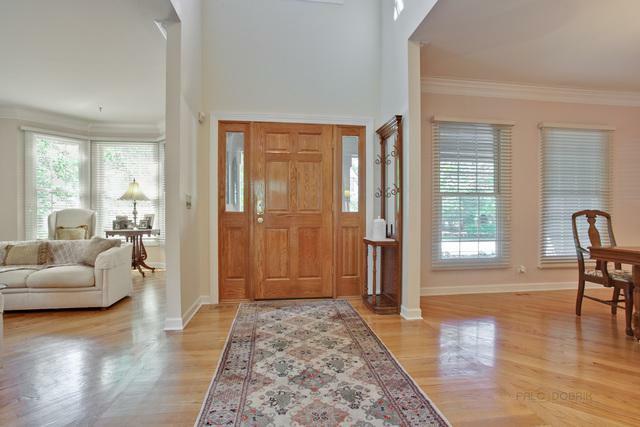 Terrific open floor plan allows for tons of natural light & features a 2 story foyer & hardwood floors throughout the 1st floor. Fabulous kitchen has large center island w/breakfast bar, farmhouse sink & an abundance of cabinetry. Eating area opens to the large elevated deck looking out on professionally landscaped yard. The light filled sunroom, located just off the kitchen, is the perfect place to enjoy a morning cup of coffee. The 2nd floor boasts a master suite w/double door entry, hardwood floors, vaulted ceiling,WIC & deluxe bath w/whirlpool, separate shower & double sink vanity. 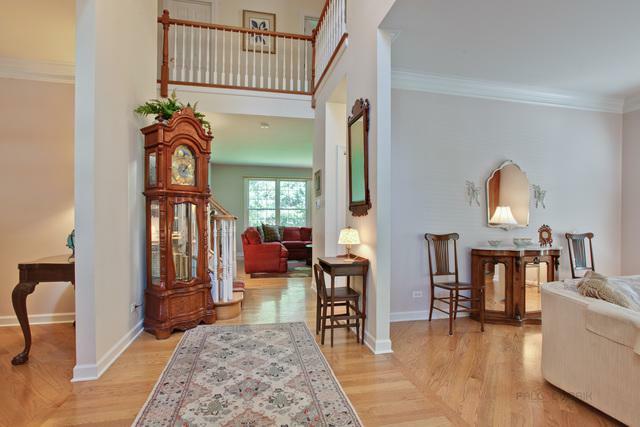 Three additional bedrooms & large hall bath complete the 2nd level. Finished basement includes the 5th bedroom & full bath, as well as rec room area & ample storage space. All this & the bonus of a 3 car garage. Close to bike path, shopping, train & highway. Nothing to do but move in & enjoy!